The project was implemented with objectives of maintenance of Beetal goats in its home tract in pure form, checking further decrease in Beetal population, production of quality and elite breeding stock and improvement of production potential for sustainable utilization at the farmers’ door. The project was implemented in 41 villages in 92 farmers flocks. In the first phase 176 does were selected and registered for recording growth and production parameters. Out of these 100 elite does were finally selected based on growth, milk production and prolificacy. Male kids from these elite goats were registered and 50 bucks were reared at farmers’ door to maturity. Selection criterion for these males was growth (more than 12.5 kg. at weaning) and dams Average milk yield (more than 2.25 kg). The bucks produced were exchanged across the villages to check the inbreeding and used extensively for breeding. 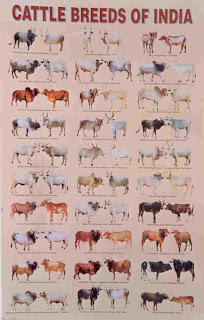 1259 goats were mated with these 50 selected bucks. The progenies were recorded for growth parameters. A total of 2501 kids were born to 1259 dams. In second phase 100 adults Beetal goats belonging to other 50 farmers were selected and 42 mature bucks were raised. A total of 1517 goats were mated with the selected sires to obtain 2977 kids. During last 2 years (2008 to 2010) 5,478 elite Beetal kids were produced with the average kidding rate of 1.98. The farmers were regularly trained on goat rearing and a package of practices in local language (Hindi and Punjabi) was also published and distributed. Goat health camps were regularly organized in the breeding tract for vaccinating the animals and creating awareness among the farmers for better heath and hygiene management of goats at the farmers’ door. Total of 5478 elite Beetal kids were added to the dwindling population of the breed in the its breeding tract. A total of 92 pure elite Beetal bucks were made available for breeding of goats of farmers. Average flock size was increased from 10.65 to 15.40 in flocks of selected 142 farmers. Average kidding rate was increased from 1.67 to 1.98 during the project period in the flocks of selected farmers. Better management practices such as pucca housing, vaccination/ deworming practices and better hygiene was introduced at the farmers’ flock. The kids were reared on full milk feeding resulting in to better growth and earlier sexual maturity. Average body weight at 6 and 12 months of age was increased to 22.35 and 32.27 kg, respectively. The goat rearing was adopted by many new farmers as the project demonstrated that Beetal goat farming is a profitable venture. Two large private goat farms were established at Ropar (Punjab) and Yamuna nagar (Haryana) with the assistance and support of the scientist working under the project. Five goat farmers registered under the project won Cash awards of Rs.26000/- in State level Livestock Show and Competition 2009 organized by the Animal Husbandry department of Punjab state. Also in Punjab Livestock Championship 2008 for Best goat and farmers got a Trophy, Rs. 3100, and certificate from C. M. of Punjab. The goat farming improved the socio-economic status of down trodden landless goat farmers. Department of AH & Dairying and Fisheries, Government of India introduced a new project on the conservation of Beetal goats in the state of Punjab. * Udai Pratap Autonomous college, Varanasi, U.P.